Terri has deep ties to this community. She was born and raised in Southeast DC and raised her children here. For many years she worked in the public library system and in public transportation. When one of her sons was tragically killed in a car accident, she left DC for a couple of years to heal. She returned to the area in 2015 and had to face the difficulties of gaining employment with a misdemeanor in her record. She was offered jobs but was ultimately turned down by a number of employers. Soon, Terri was staring down homelessness. Rather than burdening her friends or family, she sought out a place where she “could sleep comfortably and work on what I needed to work on.” That led her to Calvary Women’s Services. When Terri came to Calvary, she decided it was time to confront everything that was weighing her down. She learned about an intensive job training and placement program called Project Empowerment, and didn’t waste much time before completing the training and getting a job. Terri was connected to Art-drenaline Café through a job coach at Project Empowerment, who immediately recognized her leadership potential. She says working at Art-drenaline in the weeks leading up to its opening has given her the chance to learn about all aspects of the food services industry. The café has had a few successful popup Sunday brunches, where Terri has done everything including prepping and cooking food, busing tables, interacting with customers and running the cash register. 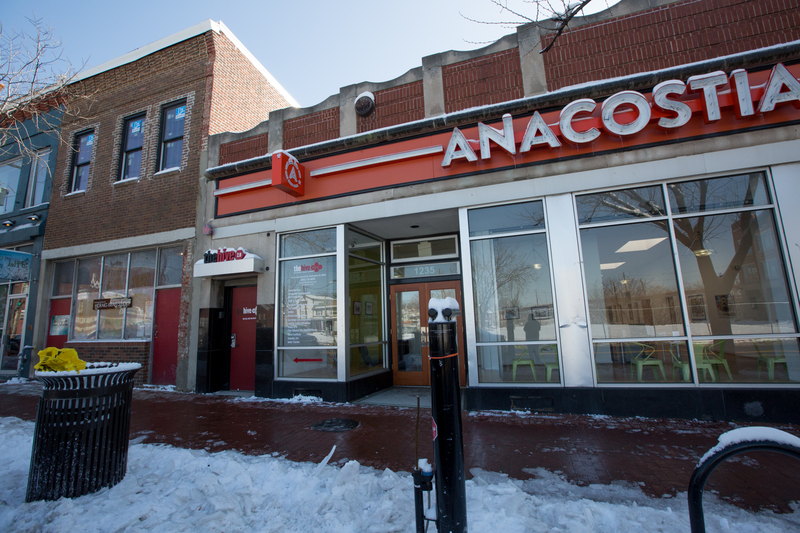 Art-drenaline Cafe will open in the Anacostia Arts Center later this month. Terri has worked hard to reach a place where she can focus on both short-term and long-term goals. She speaks warmly about her case manager, the facilitators who lead Relapse Prevention Group meetings and Calvary’s education coordinator, who have all been part of her journey. As far as short-term goals, she says, “I want affordable housing.” She wants to provide for her teenage son while working toward long-term goals like getting a degree in transportation administration. When Terri reflects on her past and the heartache she has been through, she says simply, “I had to let it all go.” Reaching a place of stability and becoming – as she puts it – “a whole different person” has required her to shed parts of herself that took a long time to face.